The Human Rights and Democracy Network’s Working Group on EU Internal Human Rights Policy issued the following statement on the European Commission’s proposal for a Rights and Values Programme within the Multiannual Financial Framework 2021-2027. 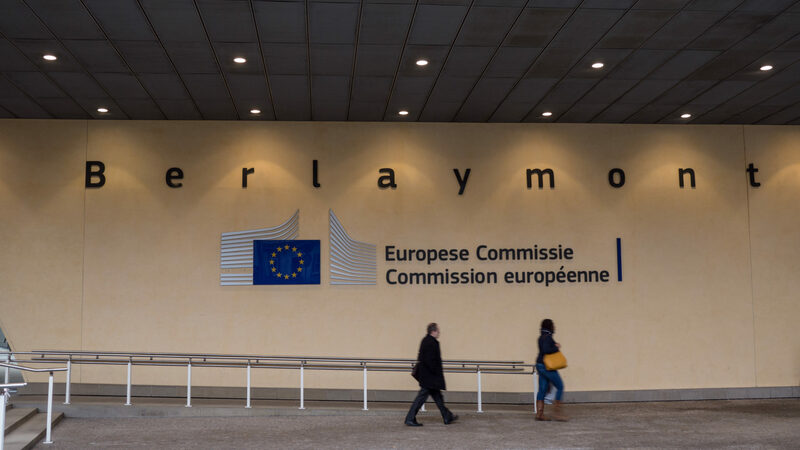 The European Commission released on 30 May its proposal for a Rights and Values Programme (hereafter “the Programme”), as part of the Multiannual Financial Framework (MFF) 2021-2027. We welcome the Commission’s intention to ensure the continuation of existing programmes (“Rights, Equality and Citizenship” and “Europe for Citizens”), by merging them together. These programmes should be maintained as they have achieved positive results in important areas, such as equality and non-discrimination including gender equality and anti-racism, data protection, Union citizenship rights, citizens’ participation at the European Union (EU) level, and combating violence. The proposal rightly acknowledges that it is more important than ever to defend EU values, including human rights and fundamental freedoms, democracy, equality, and the rule of law; that an independent civil society plays an essential role in promoting these values; and that adequate financial support is key to the development of an enabling environment for CSOs. EU fundamental values are indeed increasingly called into question within the EU, and human rights organisations are struggling to continue their work. Those protecting human rights are in some cases being attacked, criminalised and subjected to smear campaigns. Unfortunately, the Commission falls short of answering the calls of civil society and the European Parliament (EP) for an additional European Values Instrument (see the EP resolution voted on 19 April), designed to increase support to independent CSOs at local and national level, to counter the backlash against fundamental rights, democracy and the rule of law and the shrinking civic space within the EU. We call on the EU to develop new and effective ways to protect its values, and to support human rights organisations and defenders working internally at least as strongly as it does externally. Whilst the general scope of the Programme is broad, specific objectives are narrowed down to the implementation of specific EU law and policies. Since Member States are party to most international human rights treaties and Art 2 TEU refers to human rights, the Programme’s objectives could be much more comprehensive. In addition, the Programme continues to focus primarily on funding actions at transnational level, as the EU believes it is where its added value lies. Whilst transnational activities are important, we believe the EU would also have much added value in increasing targeted support to local and national CSOs working on local and national issues. This is particularly true given the increasingly difficult contexts in which they operate and considering that many challenges the EU faces are rooted at the local level. It would ensure that the EU plays a crucial role in safeguarding freedoms of association and expression at national level through providing much needed funding. On the same line, to ensure civil society can fulfil its role in safeguarding EU values, eligible activities under the Programme should include watchdog activities, advocacy, litigation, public mobilisation and education, and the provision of human rights-based services. Currently, accessing EU funds is very hard for many CSOs due to the rules that the EU imposes in terms of turnover rates, pre-financing and co-financing, and reporting, which entail the need for a very solid structure and high financial reliability and budget availability. CSOs with limited administrative and financial capacities are unable to comply, particularly smaller, community-based and grassroots organisations. Raising co-funding poses difficulties for CSOs, due to decreasing support from non-EU institutional donors and their lack of interest in intra-EU work. CSOs working in challenging environments particularly struggle in getting governmental support. The EU should aim to increase the flexibility and accessibility of its funds and provide the same funding opportunities and conditions for CSOs inside as for the ones outside the EU. To this aim, we would suggest replicating some of the features of the external European Instrument for Democracy and Human Rights (EIDHR), most of which will seemingly be maintained in the next MFF, such as: the possibility to support unregistered organisations and individual human rights defenders (HRDs); the establishment of a civil society-led mechanism providing urgent assistance to those at risk; direct award and eligibility-restricted procedures; low value grants; with no co-financing requirement and with confidentiality where necessary; and re-granting mechanisms. Moreover, CSOs, especially small and medium-sized ones, crucially need multiannual operating grants, and unearmarked funding, covering core and structural expenses, rather than short-term, project-based funding, to ensure the sustainability of their work. The €642 million amount proposed for the Programme represents only a slight increase compared to the funding available under the current MFF. This amount will be insufficient given the increasingly hostile context in which CSOs work within Europe. The EP called for additional funding of at least the level of the EIDHR (currently €1.3 billion, €1.5 billion in the next MFF according to the Commission’s proposal); whilst some CSOs called for funding equivalent to that given to NGOs promoting EU values in third countries (around €2 billion). In addition, as the proposal stands, these limited funds would be open to any legal entities in the EU and in some third countries, which include public and private entities, and international organisations. The absence of an overall earmarked budget for CSOs is problematic. Whilst this proposal ensures the continuation of important programmes, we urge the Commission to more effectively address the rise of populist authoritarianism and far right ideologies, and counter policies and practices contributing to the deterioration of the rule of law, fundamental rights, and the environment for CSOs and HRDs internally. We call on the Commission to adopt an internal instrument with greater accessibility, flexibility and sustainability for CSOs, similar in scope and size to the future EIDHR, which should not come at the expense of already existing instruments. This might be the EU’s last chance to ensure its values are safeguarded before the next European elections.